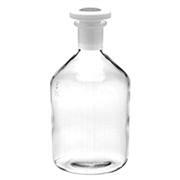 Wide mouth bottles Ideal for solids and viscous liquids Bottles are designed for easy cleaning in dishwasher or with a brush Specially designed rim prevents fluids from running down the outside of the bottle Wheaton 400 borosilicate glass Standard Taper stopper size indicated in listings. 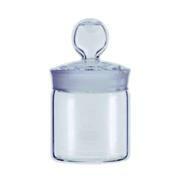 …a no-drip pour lip for easy pouring of contents Stopper protects contents from airborne contaminants Low-profile provides added safety when stored or in laboratory use Amber bottles are of Wheaton 33 borosilicate glass (USP Type I). 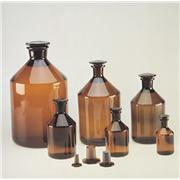 Amber bottles protect light-sensitive samples during storage. 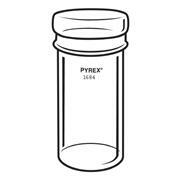 Short length external Standard Taper joints PYREX® Parr weighing bottles are designed for use in weighing small samples. 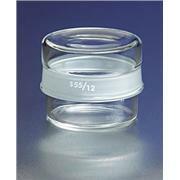 The closure style cap fits over the externally ground body. 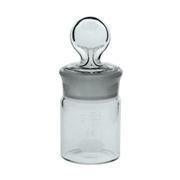 Short length external Standard Taper joints PYREX low form weighing bottles have an external Standard Taper joint style opening. 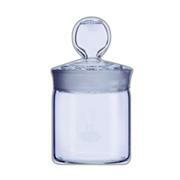 The closure style cap fits over the externally ground body. 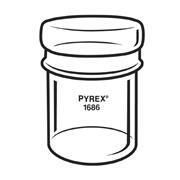 Short length external Standard Taper joints These PYREX standard weighing bottles have an external Standard Taperjoint style opening. 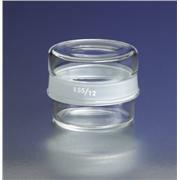 The closure style cap fits over the externally ground body. 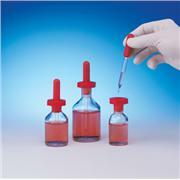 …contamination by solubility or pH change With dropping bulb and pipet, Standard Taperground-glass stopper Stopper for 30 mL size is not standard Standard Taper. 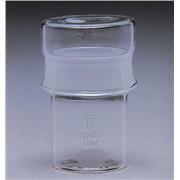 IMPORTANT: stopper is not covered by Standard Taperspecifications, but ground to an interchangeable 1:10 taper. 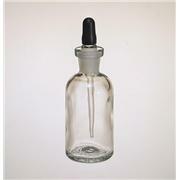 KIMAX bottle with a plug-style, closed bottom stopper that fits into an internally ground body. 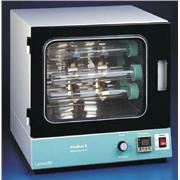 Designed from Federal Specification NNN-B-1493, Type I, Style I requirements. 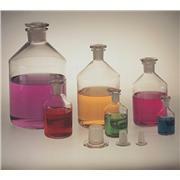 KimCote® plastic-coated bottles conform to ASTM E438, Type I, Class A glass. 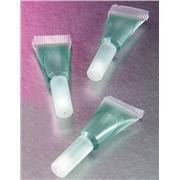 Bottle necks are standard taper ground to accept flathead color-coded PTFE stoppers. 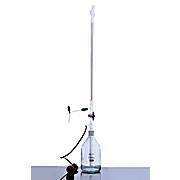 …from precision bore tubing and calibrated To Deliver (TD, Ex) on computer-controlled machines. 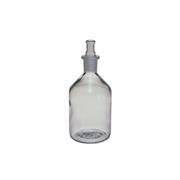 Glass bottles with ground glass joints are sold separately. 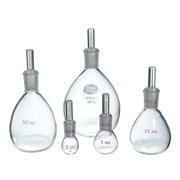 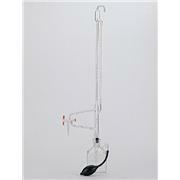 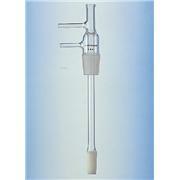 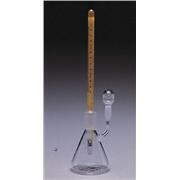 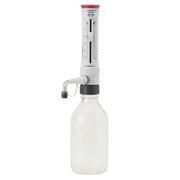 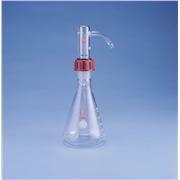 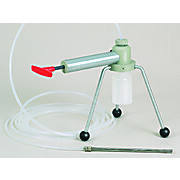 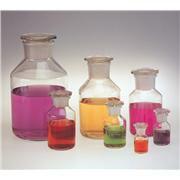 500ml bottle size is compatible with the 10ml automatic burette. 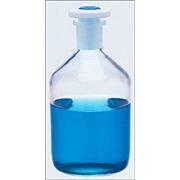 2000ml bottle size is compatible with the 25ml and 50ml automatic burettes. 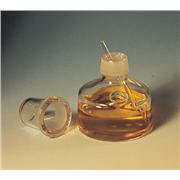 These 42mL PRYEX® low form weighing bottles have an external 60/12 Standard Taper joint style opening. 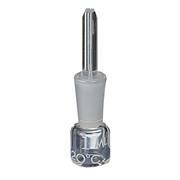 The closure style cap fits over the externally ground body.